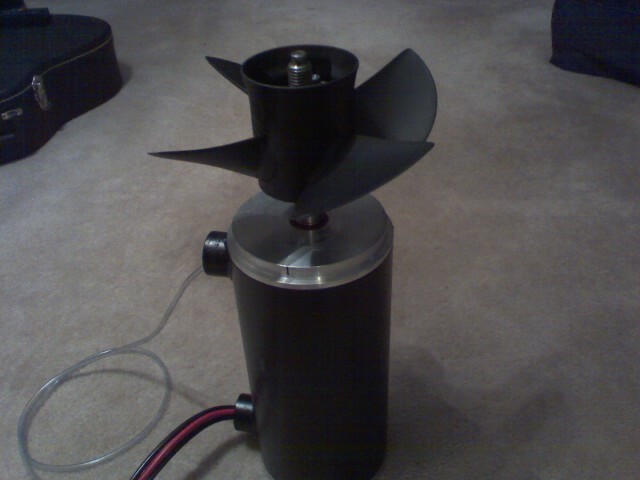 There’s two styles of electric motor that you can use in a sailboat. The cheapest for boats with an in board engine is simply to replace the diesel engine with an electric motor and continue to use the same drive train. Such as this one from Thunderstruck. 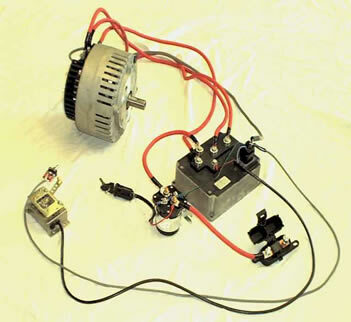 There’s lots of examples of this kind of electric motor and you have plenty to choose from. Even though its the easiest way to change from diesel to electric, it still has the complexity of the existing drive train with its stern gland where the drive shaft passes through the hull. The electric motor also generates heat as it works – although not as much as a diesel engine – and it has to be cooled, commonly with a fan. This can be draining in hot weather, cos just like a diesel, it adds more heat to the already hot cabin. The other type of electric drive for a boat is a pod – torpedo like submersible motor. The can be outside the hull where is cooled by the water flow over it, and it means also its extremely quiet. This is the kind of motor I’ve decided on. The motor I’m getting is an E-Pod from Re-E-Power in Michigan and I’ve been talking to Kevin Plank there for many months now to finalise the details of my order. Because I want to use it in the existing well in Current Sunshine, it needs to be slightly shorter than the standard model. And when Kevin looked at making a shorter model for me, he liked it so much he decided the re-tool the whole operation to make this shorter one the standard model. The retooling has meant delays in getting the new model into production, but it is now done.